Muscular strain – sometimes you can ‘pull a muscle’ in your back, resulting in a small tear or sprain in your muscle. 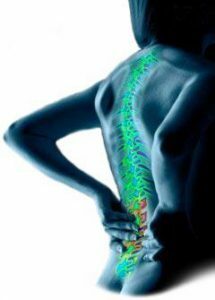 Disc problems – sometimes the discs between the vertebrae may become weaker and bulge out. In extreme cases, this may lead to a prolapsed disc. Spinal stenosis – the spinal column runs through a narrow opening in your vertebrae. If this opening becomes too narrow, the nerves may become trapped, which causes pain. Collapsed vertebra – the vertebrae give much of the structural support to the spine but these may become damaged as a result of disease or injury. Severe osteoporosis may result in a vertebra collapsing and by doing so, disturb the surrounding structures. If you have a physical job, sit or stand for long periods, or are in poor physical condition, you are at greater risk of developing lower back pain. Most people associate back pain with physical risk factors such as heavy lifting, twisting and bending and awkward postures. These can contribute to back pain or exacerbate any existing pain. Therefore you should pay attention to controlling these factors by, for example, using manual handling aids (lift, hoists etc) and ergonomically assessed workstations. Other risk factors of a physical nature include vibration (for example the vibrations that a driver experiences when driving a car or truck), repetitive work and static postures. Emotional stress and long periods of inactivity can also make symptoms appear worse. Understanding a little basic anatomy can help you understand the nature of your pain and where it’s arising from. Your back consists of many different structures that all have to work together. Your spinal column is comprised of 33 vertebrae, with discs (like shock absorbers) in-between them. You have 7 in your neck (Cervical vertebrae), 12 in your middle back (Thoracic vertebrae), and 5 in your lower back (Lumbar vertebrae). You have 5 vertebrae which are fused together to form your Sacrum, attached to which are 4 vertebrae, which are also fused, that form your Coccyx (tailbone). The shape and size of these vertebrae changes from the top to the bottom of the spine. Cervical vertebra are small, and are designed for movement and flexibility, whilst lumbar vertebrae are much bigger, being responsible for the weight bearing of almost all of the upper body. As the vertebrae stack up one on top of the other, a small gap called a foramen is formed. Pairs of spinal nerves branch away from the central spinal cord and travel through these foramen to supply organs, limbs etc. The spinal cord is encased in a ring of bone formed by the front and the back of the vertebra, and this runs from the base of the brain to the bottom of the spinal column. The discs between the vertebrae are more formally known as intervertebral discs. They are made up of a soft jelly like substance called the nucleus, which is held inside a tough, elastic and fibrous outer casing known as the annulus. 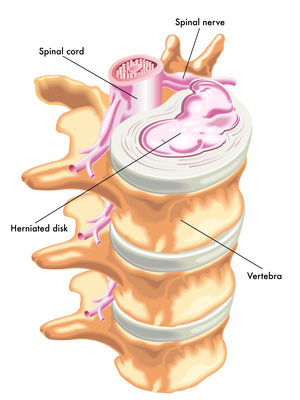 The vertebrae and the discs together are known as the spinal column. This is supported by many muscles, tendons and ligaments. Their function is to provide strength and stability to the spinal column. The muscles are connected to your bones with tendons – when a muscle contracts, the forces are passed on to the skeletal system via the tendons. This ensures that a muscle contraction results in a movement of a certain body part. The role of a ligament is to provide stability to a joint – however, ligaments are also flexible to a certain degree, so they can stretch or contract when the joint moves. It could be thought that any abnormalities in the structure or functioning of your back will result in pain, but this is not necessarily true. People have very different backs and it is difficult to define a ‘normal’ structure. Some people with severe deformities may not experience any back pain while others who appear to have ‘normal’ backs experience severe pain. Although lower back pain is often very painful, the good news is that few people have a major problem with the bones or joints of their backs. Prevention is better than cure, and it is often easier for an osteopath to treat underlying stresses and strains when there is no current back pain. You do not have to have the pain on the day of the treatment. Likewise, you do not have to wait for a particularly painful episode to settle before visiting an osteopath. Most back pain is easier to treat in its early stages. It is also important for the longer term to minimise the potential for structural damage or arthritis, which can be caused by wear and tear through strain on weak areas of the spine, by getting treatment when it is needed. During your consultation, the osteopath will take a full history of your condition, and also ask questions relating your current and past state of health. It is helpful if you could bring a list of any medications you may be currently taking. Once a diagnosis had been made, the osteopath will discuss it with you and outline what the best course of treatment would be. Occasionally, further diagnostic tests may be required, such as x-rays, MRI scans or blood tests – for these you be referred back to your GP/Specialist. High velocity low amplitude thrusts (HVT) – the osteopath applies a high-velocity low amplitude thrust to the joint to reduce any restricted movement. This is painless and makes a small ‘clicking’ or ‘popping’ sound. Myofascial Release – The osteopath may use this soft tissue therapy to release muscular shortness and tightness. Muscle Energy (MET) – The osteopath applies a counterforce to the muscles while they are being used in a specific position and direction, such as when flexing. Soft Tissue Mobilization / Massage – The osteopath uses rhythmic stretching, deep pressure or traction techniques to engage the muscle area around the spine. The average patient usually responds positively within three to six treatments, but more, or indeed fewer treatments may be required depending on the nature of what is being treated and the individual’s circumstances and past history of the condition. A chronic lower back problem may well take considerably longer to resolve. After your treatment, you may well be given a series of exercises to do, and/or postural advice if your osteopath feels this would be of benefit to you. 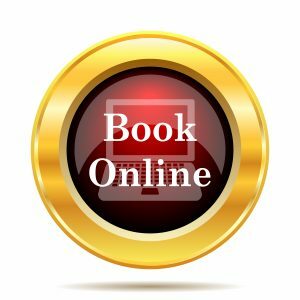 To book an appointment, please telephone 07423 433930, or book online. (1) Palmer KT, Walsh K, et al. Back pain in Britain: comparison of two prevalence surveys at an interval of 10 years BMJ 2000;320:1577-1578. (2) Nachemson AL, Waddell G, Norlund AI. Epidemiology of neck and low back pain. In: Nachemson AL & Jonsson E (eds). Neck and back pain: The scientific evidence of causes, diagnosis and treatment. Philadelphia: Lippencott Williams & Wilkins, 2000. (4) Andersson GBJ. The epidemiology of spinal disorders. In: Frymoyer JW (eds) The adult spine: Principles and practice.Â Philadelphia: Liipincott-Raven, 1997. (5) Hoogendoorn WE, van Poppel MNM, et al. Systematic review of psychosocial factors at work and in private life as risk factors for back pain. Spine 2000;25:2114-2125.